Home » Car leasing » Car rent » Financial Tips » What financial benefits can you reap by leasing your car? What financial benefits can you reap by leasing your car? Car leasing or personal contract hire as it is called alternatively has always been one of the most popular ways of driving a car throughout the world and if you check in the United States, one among four cars is out for leasing. Personal car leasing has become popular all over the world but there are still many drivers who are not aware of the benefits associated with leasing and hence they end up taking out car loans or personal contract purchase agreements to obtain their vehicle. Car leasing can provide benefits which can be an attractive alternative to buying but this option isn’t for everyone. If you’re still not aware of the financial benefits associated with car leasing, here are some that you may consider. Reduced monthly payments: Since you have to pay only for a part of the value of the car which you use, the monthly lease payments will be 30-60% lower than what it would be when you buy a car with the same loan amount and with the same repayment term. You don’t require paying anything extra for every month of investment in ownership of the car. No requirement of down payment: Car leasing offers you the option of no downpayment but you still make the payment of the first month and the official registration fees and official tag. There are some promotional lease deals which need down payment to grab the deal. 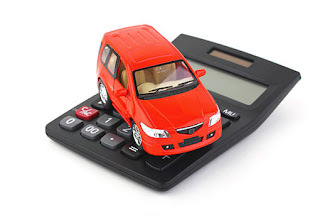 More car for money: Since the monthly car lease instalments are lower than with purchasing a car, you get enough cars as against your money and you can drive a vehicle every 2 to 4 years. A luxury car can be leased often for either similar or lower payments than the loan payments for a costly economy car. No headaches about maintenance: Majority of the people love to lease for a term which coincides with the length of the warranty coverage so that the repairs are covered when anything goes wrong with the leased car. There are few car companies which offer free routine scheduled maintenance for the lease term. Tax bites will be lower: In majority of the states like Canada and the US, you don’t require paying sales tax on the total value of the vehicle that is leased in a way you would if you bought it. You will be only taxed on the part of the value which you utilize during the lease. The tax is paid along with the lease monthly payment instead of having to pay all together. No hassles of used car: When you lease, the issues of selling a used car can be done away with. When the lease ends, you give it back to the leasing company and you’re done with it unless you trade it or buy it. Therefore, now that you know the different benefits of car leasing, you should always opt for it instead of purchasing a car. Make sure you understand the terms and conditions of leasing before you take the plunge.